After a long winter stuck in boots and thick socks, summer is all about sandals. These sandals are specifically chosen for their ability to be both ultra-comfortable and stylish, so you can rock them all day long. Whether you're dressing for a wedding or the farmer's market; for a baseball game or a festival, these sandals are the best for keeping you on your toes—literally. Spring is officially here, which means it's time to clean out your closet to make room for new staples you'll wear all season. From an oversized jacket to flare jeans, we've rounded up six denim finds that can be mixed and matched with almost anything. 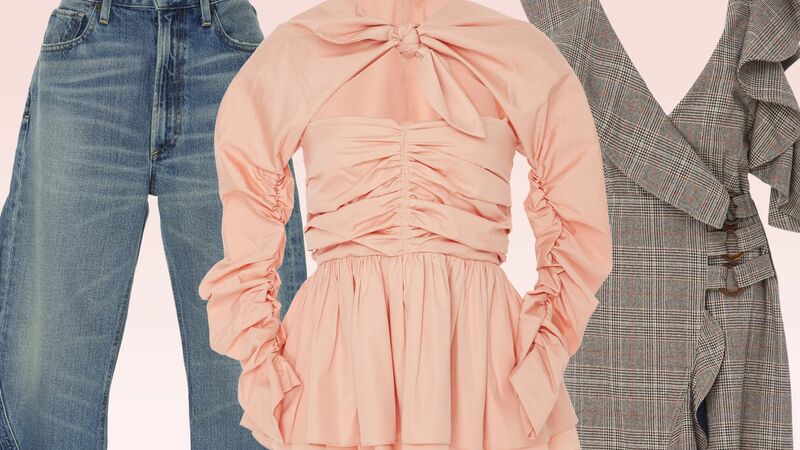 If you're looking for some fashion inspiration to include in your spring wardrobe, we've got you covered with our roundup of must-have trends from New York Fashion Week. One of the most versatile winter accessories, the blanket scarf will be your new BFF this season. There are so many ways to style a blanket scarf, from a simple shawl to a belted cardigan; here our favorites and how to wear them. Don't miss your chance to get 20 percent off all full-priced items at Sweaty Betty's Labor Day sale from August 31 to September 3. Whether you're looking for new fitness gear to wear to the gym or a maxi dress for date night, just use the code "LABORDAY" at checkout to save. The hottest (and most coordinated) celebrity-designer couples at the 2016 CFDA Fashion Awards Monday night in New York. Celebrate New York Fashion Week with these amazing runway savings. We shop the dreamiest summer dress option: lace! Shop 9 spring suits for women, from tuxedos to linen and seersucker styles.